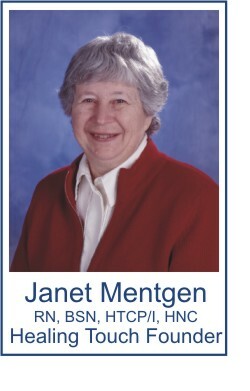 Founded by Janet Mentgen, RN, Healing Touch came out of the licensed nursing community in the U.S. in the 1980s. Despite its strong association with professional nursing, it is very welcoming to anyone with "a compassionate heart and a desire to be of service to others." It's very well organized--almost to the point of being bureaucratic, from my point of view. As a result, you can be fairly sure that a certified practitioner has been through a standardized curriculum. (This is one reason why I often recommend seeking out an HT practitioner when asked for a referral in an area where I don't know anyone. Chances are an HT practitioner will be ethical and a good practitioner.) Practitioners also have a strong support organization. 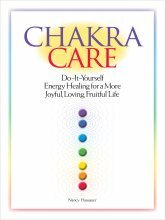 Like many forms of energy healing, it works with the body's energy field and chakras. Practitioners use their hands to clear, energize, and balance the human and environmental energy fields. Techniques are easy to learn and widely assimilated into the wider energy healing community. Perhaps more than some other types of energy healing, its teachings seem to focus on physical healing such as healing wounds and relieving pain. However, it also aims to facilitate emotional, mental, and spiritual health. Like many forms of energy healing, it works to restore harmony and balance to its recipients' energy systems so that self-healing can take place. The HT website describes it as being based on "a heart-centered, caring relationship in which the practitioner and client come together energetically to facilitate the client's health and healing." Some 50,000 individuals have taken HT classes. It is taught world-wide. These studies demonstrate that there is support in favor of considering Healing Touch for providing integrative care and that patients assess it highly.. . .Research has been supported and/or funded by hospitals, universities, colleges, professional organizations, private foundations, and the National Institutes of Health, Center for Complementary and Alternative Medicine. You can go to the HT website here. The website includes information about classes and a directory of practitioners. The HT folks also produce a pretty good magazine that you can sign up for on the website. Return from Healing Touch to Types of Energy Healing main page.